This week saw very little transfer activity compared to last week but with the season having started yesterday and with games throughout the week, activity may pick up again when managers realise where they are short. 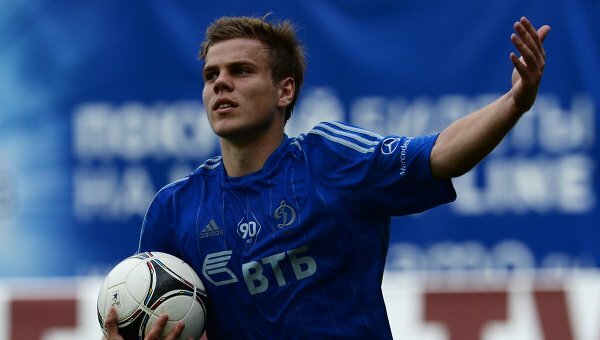 However there was still a big transfer in Alexander Kokorin joining Anzhi from Dinamo Moscow for a fee of around €20m. It wasn’t something that had been kept quiet and everyone was just waiting for Anzhi to officially announce it. The 22 year old striker is one of Russia’s biggest prospects for the future and Anzhi are hoping he fulfills his potential. Many may argue that it is too higher price for Kokorin but, like in England, fees are inflated for Russian players, especially of the quality of Kokorin. Unfortunately for player and club he will miss the first 4 games of the season due to serving a lengthy ban imposed by the FA after an incident last season. Elsewhere, Keisuke Honda’s future still remains unclear. With reports claiming Milan have reached an agreement with the player for a transfer in January when Honda’s contract has expired. However CSKA are willing to reach an agreement with Milan on a fee to transfer the player in the current window. What does seem likely is that Honda will join Milan at some point. Finally, the midfielder Aleksandr Sapeta has joined newly promoted Ural on loan for a season from Dinamo Moscow and Volga have signed striker Dmitri Sychev on loan from Lokomotiv Moscow.